Create an architectural focal point with this exclusive hardscape piece from Spring Hill. 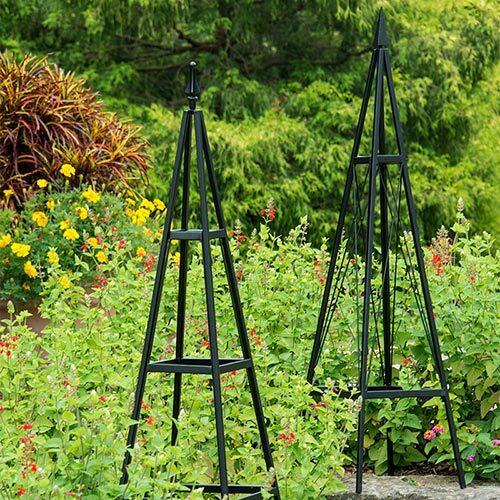 Perfect for adding interest to container plantings or as a stand-alone decorative display, our Metropolitan Tuteur boasts clean, classic lines and a sturdy iron construction. 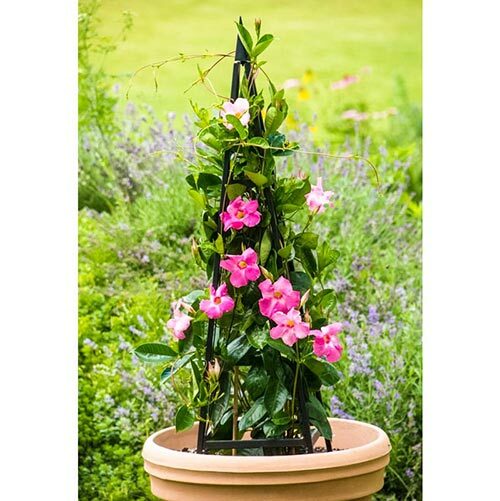 It makes a fine addition to mixed beds, supporting heavily flowered vines, such as clematis or mandevilla, with ease. For an impressive exhibit in the vegetable garden, use this tuteur as a support for patio tomatoes, cucumbers or any other vining edibles. 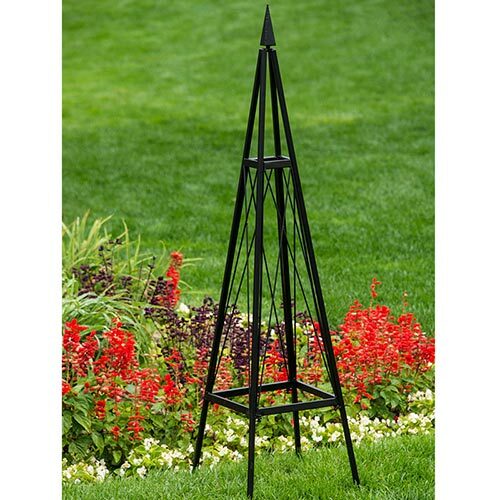 Beautifully designed, with a black powder coat finish for years of enjoyment. 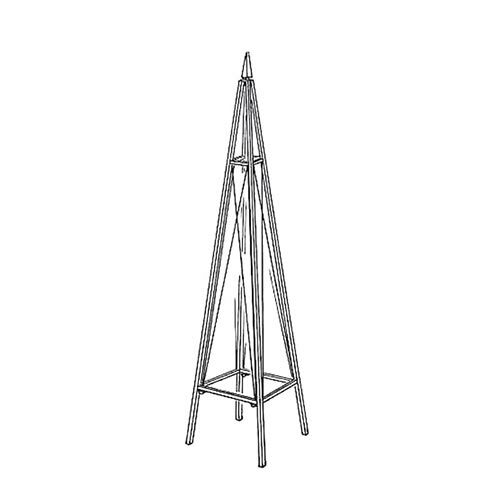 Suitable for use in the ground or in pots 16" or larger. Some assembly required. 52"Hx14"Wx14"D.